Headaches are more than a painful nuisance, they can be indicators of other issues in your body. Though the condition is very common, struggling to find lasting headache relief can be, well…a headache. Headaches come in many forms, they can be occasional or frequent and may range greatly in severity. Spinal adjustment and other chiropractic treatments can be an effective way to relieve and prevent headaches and improve outcomes for patients without the need for medication or surgery. Don’t deal with headaches another day! Schedule an appointment at (812) 401-2140! The most common type of headache is a tension headache which can be triggered by stress or tension in the muscles of the neck, shoulders, and head. They may come and go over time and cause mild to moderate pain. Most people describe a dull aching pain throughout the head and neck. Most people experience cluster headaches as a series of piercing headaches occurring on one side of the face, or behind one of the eyes. A series of cluster headaches can last for days or months at a time. Men are more likely to experience cluster headaches. Migraines are marked by a strong throbbing or pulsing pain which is often on one side of the head. The pain can last for hours or days and can hinder your ability to carry out your daily routine. People who suffer from migraines often experience light and sound sensitivity as well as nausea and vomiting. 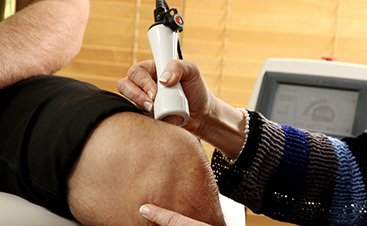 There are several factors that may cause or “trigger” a headache. Certain foods and drinks, environmental stimuli, and habits can play a big part. The vast majority of headaches are not a sign of an underlying health issue. Most of the time, the pain from a headache is the primary medical concern. Many headaches are a result of muscle tension in the neck. Sedentary activities and a general lack of movement can cause stiffness in the neck and shoulders, leading to headaches in which pain relief medication is ineffective in solving the root problem which is the cause of the headache pain. Strech every half hour when sitting or standing in one position for a long time. 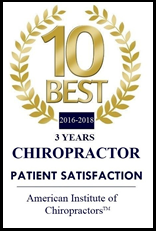 Our doctors of chiropractic care undergo extensive training to help their patients overcome pain, not only in the back but throughout the body. They understand how tension in the spine relates to problems in other parts of the body. Together you and your chiropractor can create a treatment plan suited to your individual needs. Dr. Mitz will thoroughly examine all possibilities of your pain and work with you on a headache treatment program that relieves your pain. Our chiropractor for headaches will use solutions that don’t involve risky surgery or unnecessary medicines. Headache relief could be just a phone call away! Schedule an appointment today at (812) 401-2140!